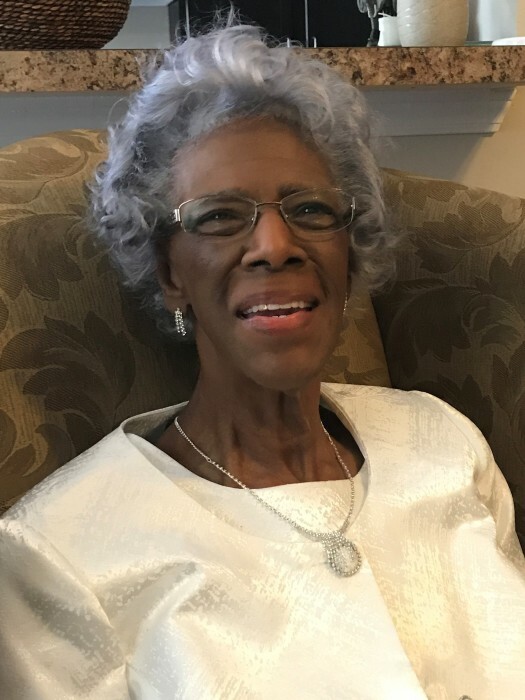 Ms. Lucy Waterson, age 83 of 137 Willowridge Dr., Sanford, North Carolina passed on Monday, October 22, 2018 at her residence. Lucy Goode Waterson, was born to the late Johnny Goode and Maggie Goode November 17, 1934 in Asheville NC. She was educated in the Asheville City School System. She graduated from Stephens Lee High School. She devoted her life working in the health care field until she retired. She joined St. John “A” Missionary Baptist Church in Asheville, NC at an early age and remained a devoted member until moving to Sanford NC where she joined the membership at New Zion Missionary Baptist Church in 2012. She served as an usher, deaconess, and was devoted to attending Sunday School and Bible Study. Mother Waterson enjoyed Women’s Day programs and the Senior Citizen Banquet, let’s not forget Ms. Faye’s Broccoli corn bread. Mother Waterson leaves to cherish her memories, daughter, Linda Conwell (Lee) of Asheville, NC; son, Pastor Douglas Waterson (Dorothy) of Sanford NC; brother, Bobby Goode; six grandchildren, Wendy, Baxter (Teresa), Carl, Maurice, Dominique (Andrew), and Desha; six great grandchildren, Dovontae, Aniah, Jordyn, Cailynn, Javon, and Samiah and a host of nieces nephews, other relatives, and friends.